It's essential to access a BMW brake fluid flush every once and a while. Our BMW dealership invites you to schedule your next flush at our sophisticated service center near Newark, NJ. A brake fluid is essential for your BMW's brakes. While BMW brakes a high-end, they still need a brake fluid flush every once and a while. What the flush service does is remove the existing fluid and moisture out of the system. Then the technician replaces the fluid with cleaner fluids. Why Should You Get a BMW Brake Fluid Flush? The BMW brake fluid flush service ensures that drivers are always able to reach peak brake performance. A brake fluid flush will also increase your brake system lifespan! 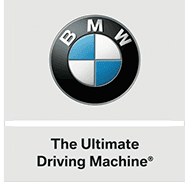 For more information about our service schedule, contact BMW of Bloomfield or schedule service online now.